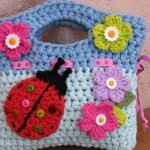 Crochet has been a skill that has been the most beneficial and important when it comes to creating some different and exciting. 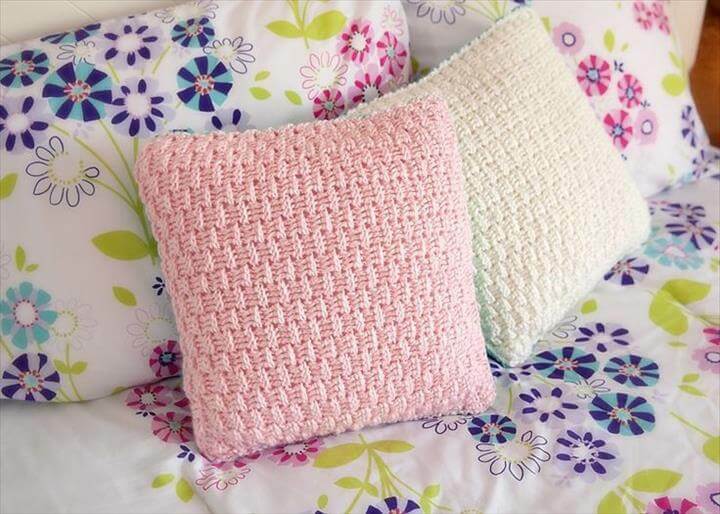 For the upcoming winters you can create lovely 18 Beautiful Free Crochet Pillow & Cushion with free patterns available here. 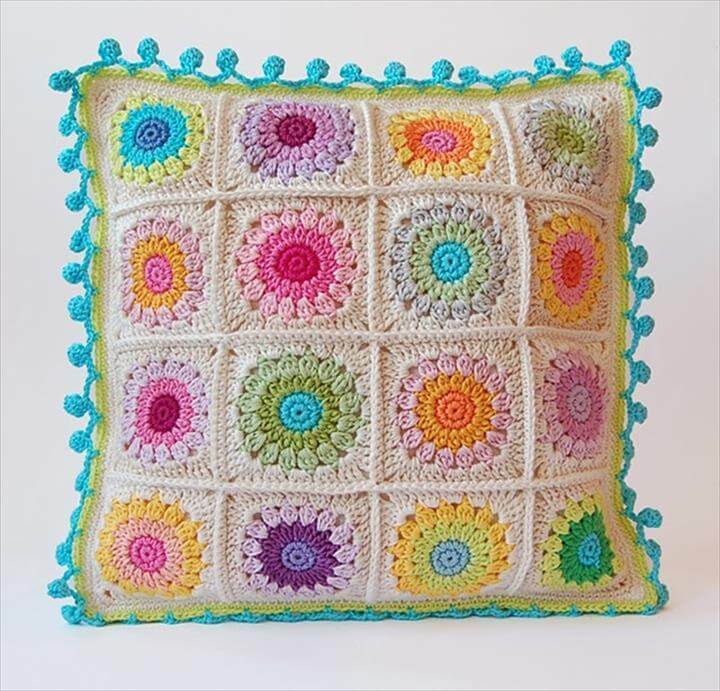 Juts improve your crochet skills a little more and start making your very own customized crochet pillows and cushions. 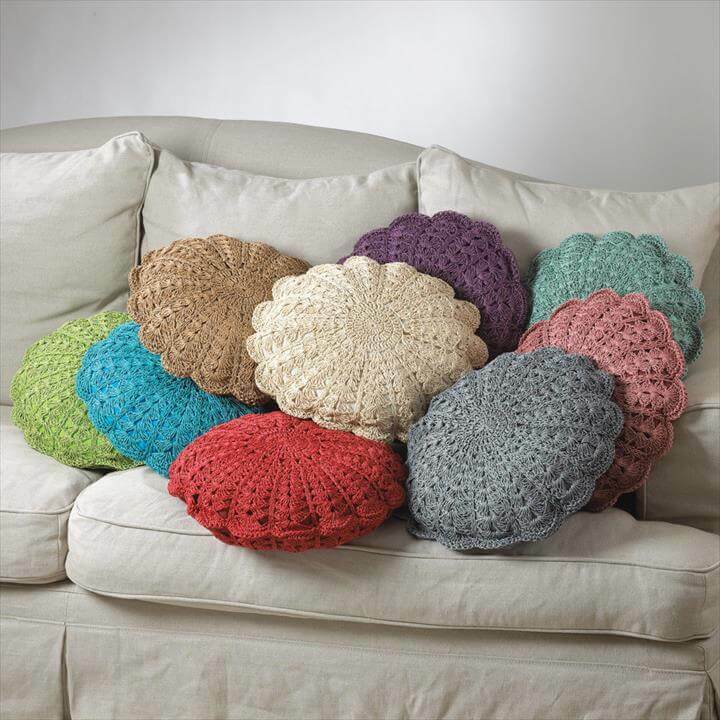 Make a whole lot of crochet cushions and pillows so that you can make your comfy sofas even more comfy and attractive. 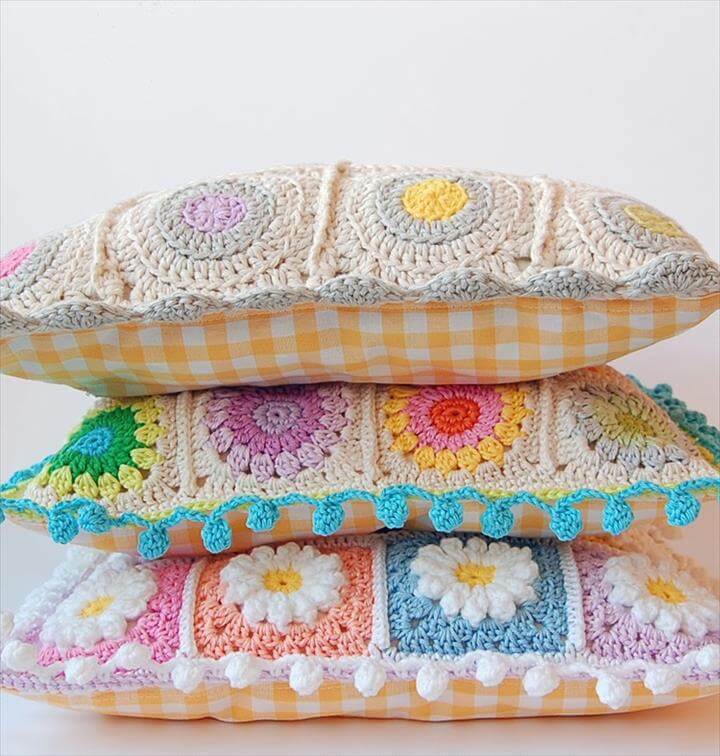 Here we have many ideas for making such pillow such as daisy ripple design, plain knitted designs and much more. 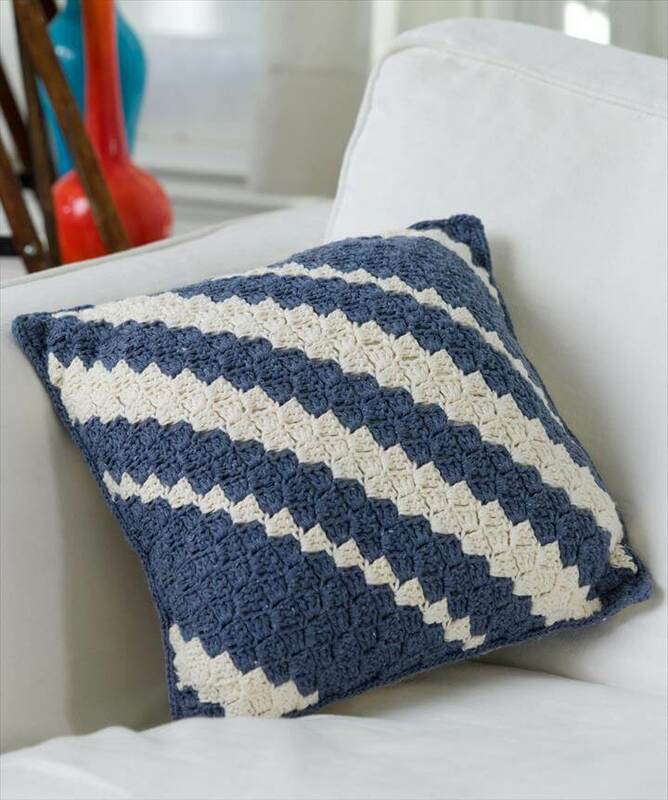 All these beautiful free crochet pillow and cushion patters are all available with the tutorials and the detailed descriptions in the links given below the projects. 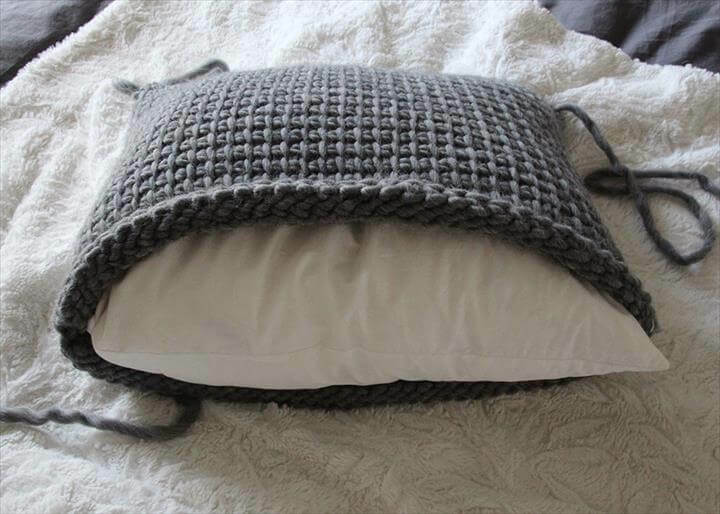 Also you can make some animal patterns on crocheted pillows. 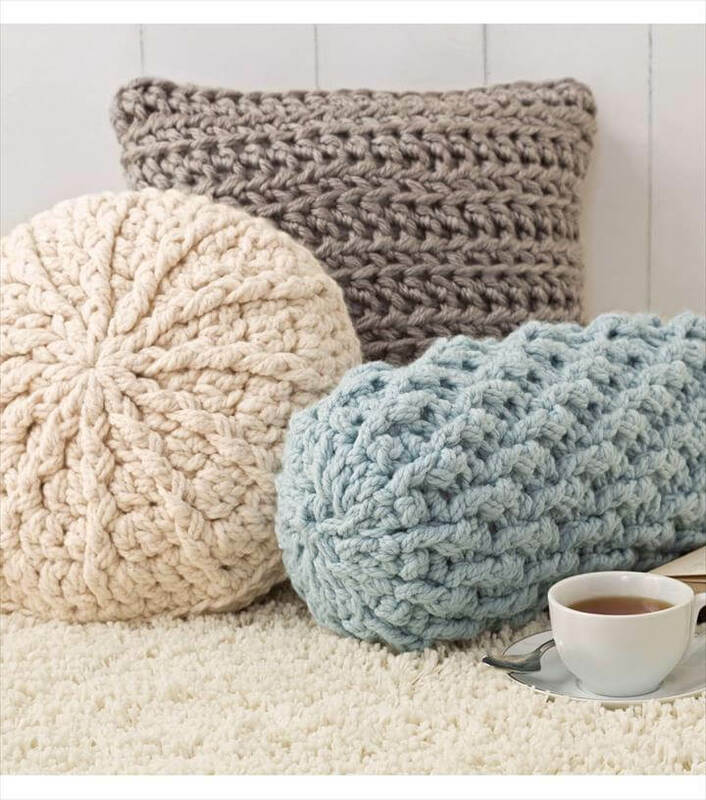 These crochet pillows will definitely compliment your sofa throws. 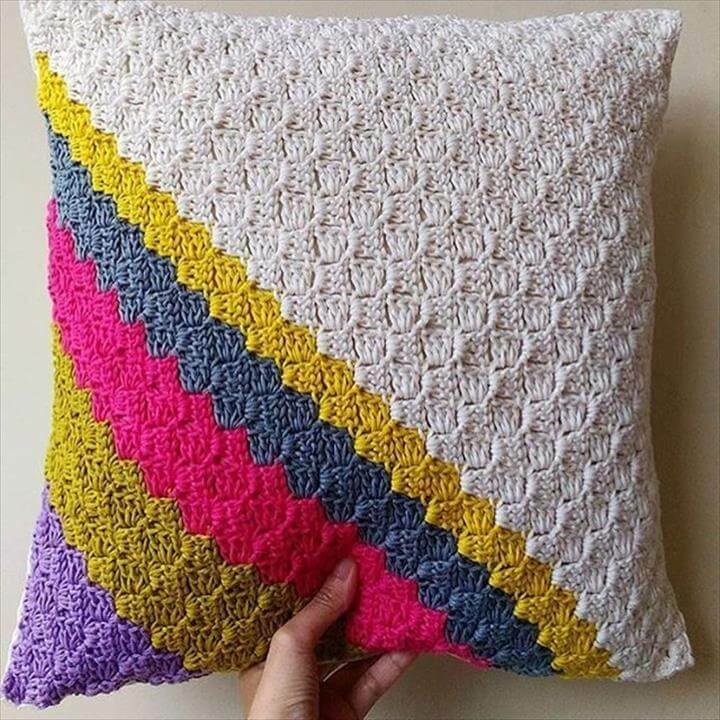 Buying the readymade crochet pillows from the market will definitely cost you a lot of buck but making these by your own self in design of your own choice. 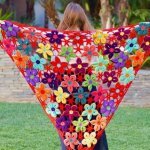 Learn the different crochet pattern and make some of the amazing master pieces with crochet for your house this season. 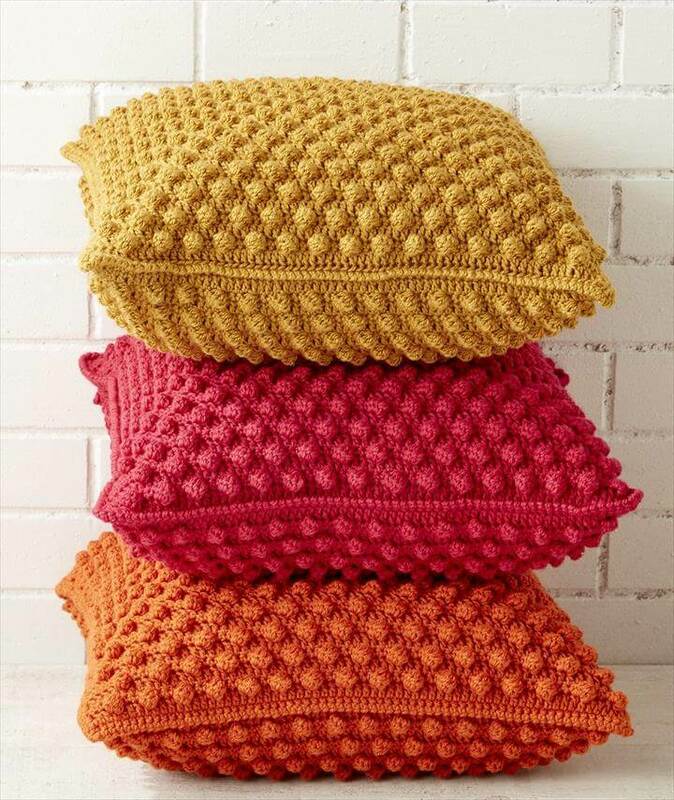 All of these cushions and pillows are so cozy that they can make your leisure time much better than ever before. All of these are perfect for your informal lounge and living rooms. Choose the colors according to the theme of your living room and bedrooms. 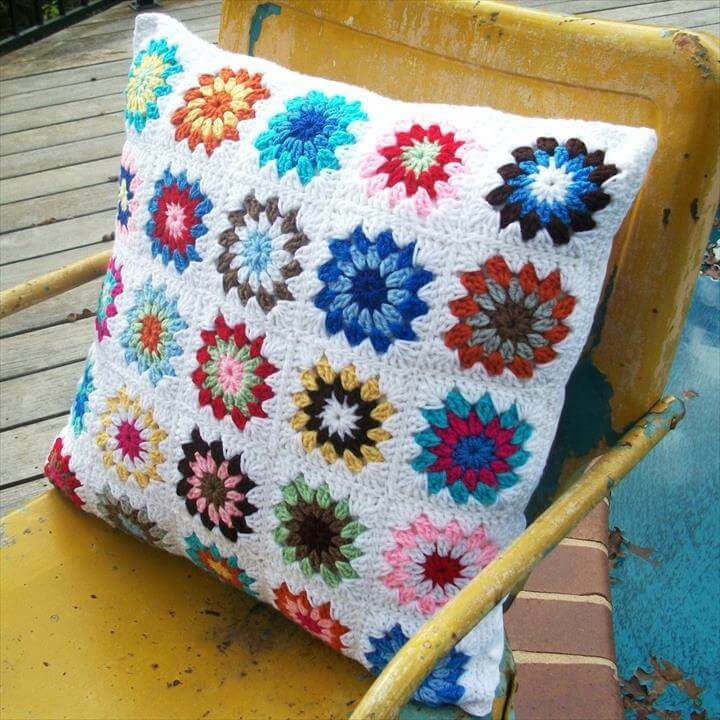 Whenever we listen to the words cushions and pillows we tend to feel relaxed and comfortable all at once but what about creating some of the cushion and pillow covers by you and feel even better about it. 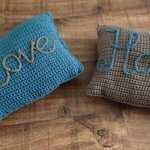 These diy crochet pillow and cushion pattern will definitely add more warmth to your sofas and beds. 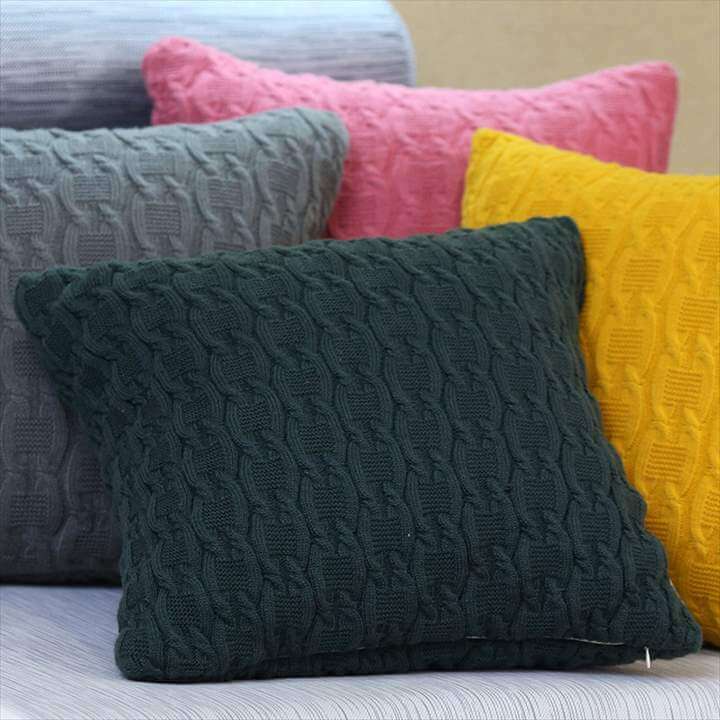 The first idea here is a peacock pattern for your pillows and it’s absolutely stunning as some of the most beautiful colors are used over here in this project. 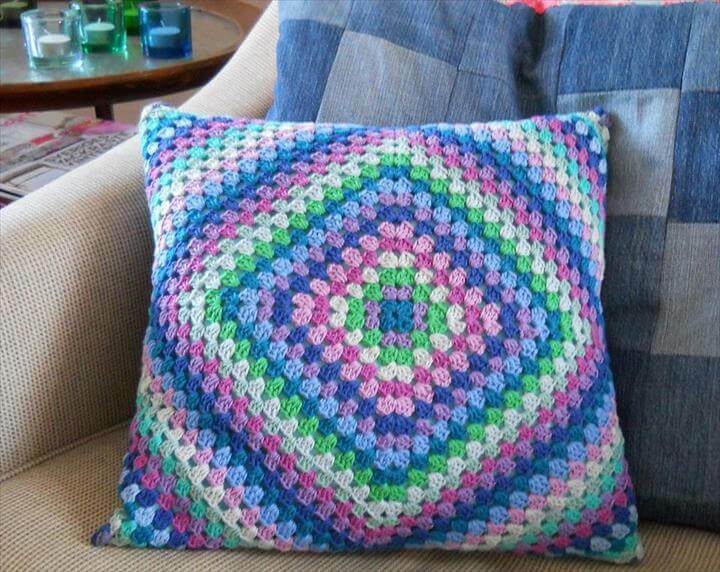 Also you can create a beautiful crochet pillow cover which has four sided opening and has beautiful colors in it. 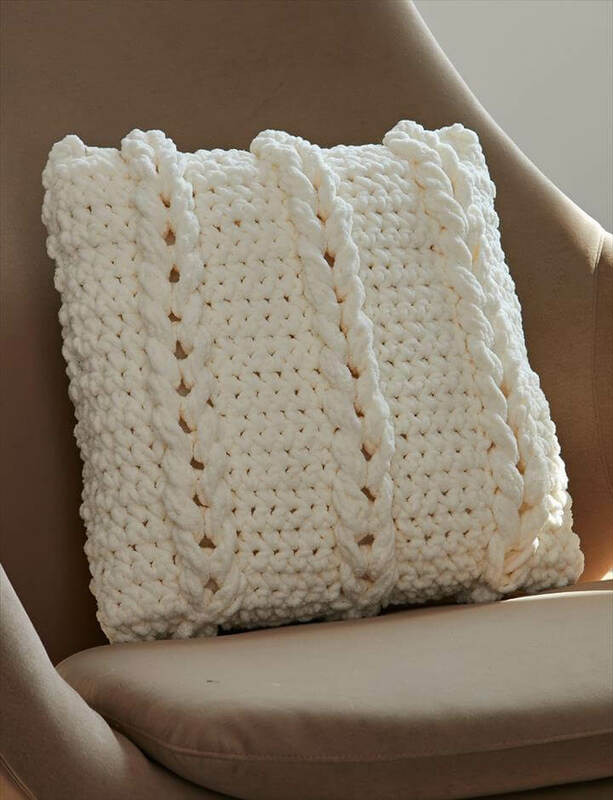 Now when its officially a festive season coming up so you must grab some crochet yarn and start adding some color and comfort to your home. 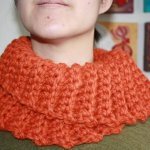 You may use jumbo yarn for these projects as it is very inn these days and simple regular yarn can also be used here. 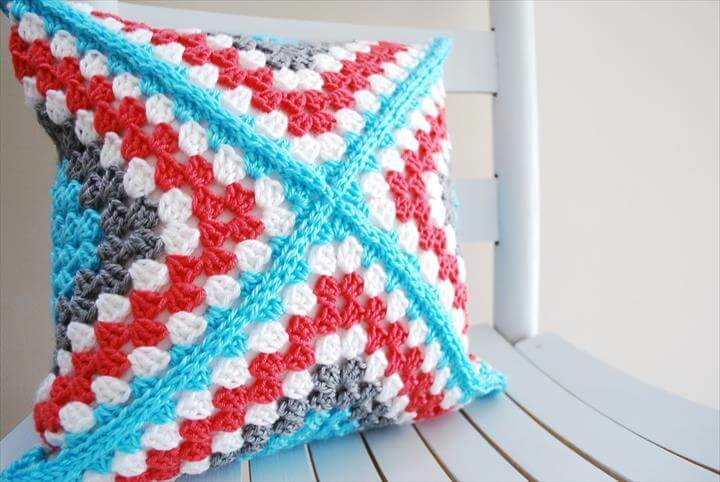 Besides this we also have daisy ripple crochet pattern for your comfy cushions to make them even more comfy and perfect for cuddle. 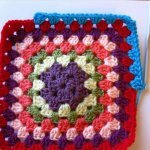 Use the colors of your choice in these projects so that you feel good every time you see them on your couch. 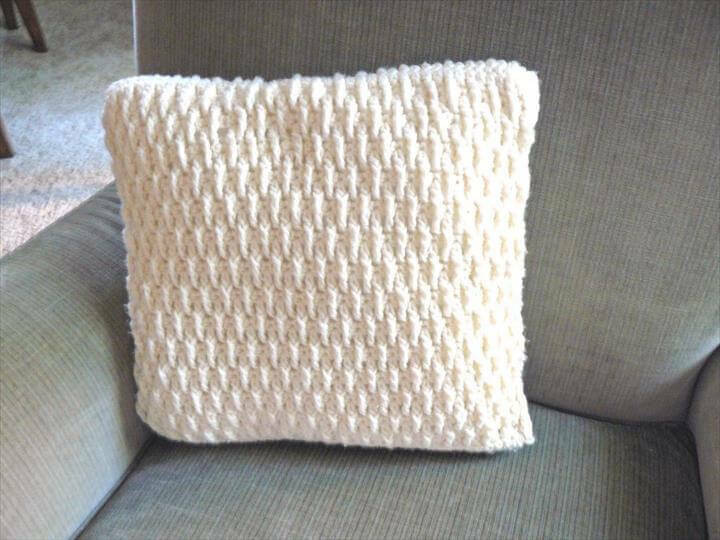 You can also just simply knit plain cushion covers as you can see in this project. 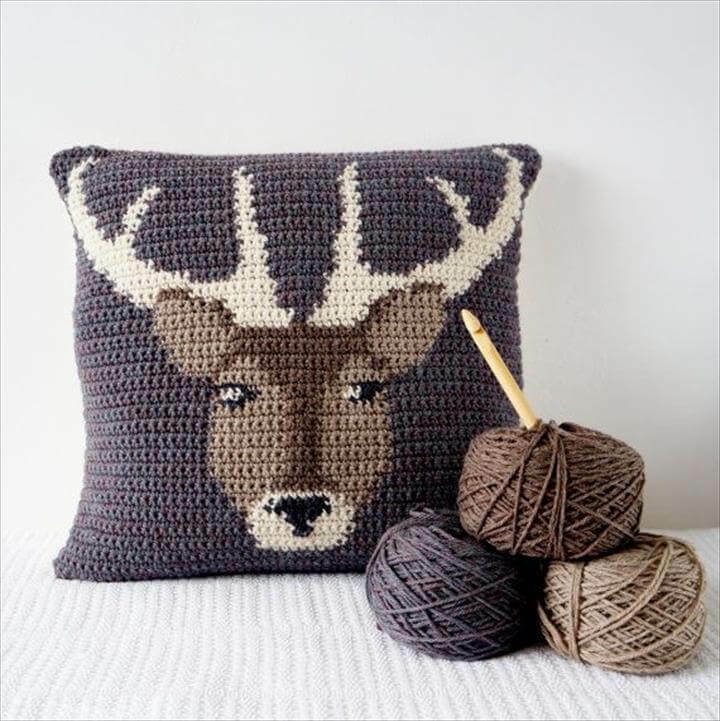 If you have some extra ordinary crochet skills you can also make some kind of a picture such as this deer crochet pillow which is a beautiful combination of two colors. You can learn the pattern and step by step procedure in the tutorials that are attached in the links given below the projects. 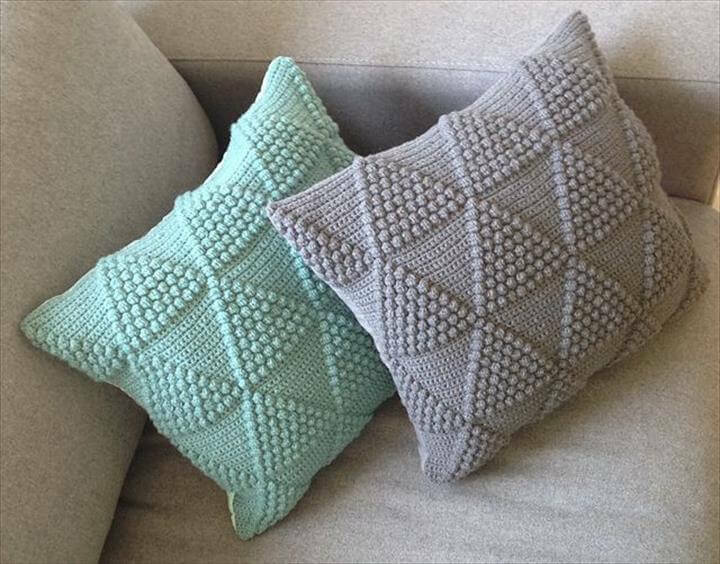 You can arrange these cushions and pillows along with your throws on the sofa and couch. 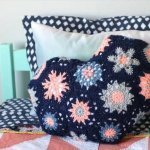 It is suggested to make a collection of such wonderful and colorful crochet pillows and cushions for you to look to something that’s appealing after a tiring and hectic day.so cheers and has fun doing these projects. 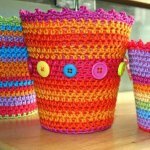 Share these ideas with your friends also so that they can also make some beautiful cushions and pillows.